Aswanley is in the upper Deveron Valley, an hour west of Aberdeen. The 17th century fortified house stands in the centre of an estate that offers a variety of sport appropriate to the type of habitat from heather and woods down to the arable land by the river. This is a wonderful estate for those looking for a mixture of activities, especially young sporting families. Riding: Trekking centre and lessons about 10 miles. Own horse can be stabled by arrangement. Walking locally. Mountain biking locally and Rothes trails. Local golf courses at Huntly, Dufftown and Ballindalloch. 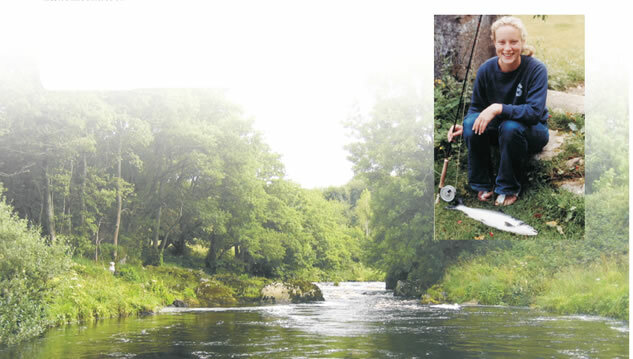 Approximately one mile of double bank and two miles single bank fly only fishing with ample water for up to six rods on one of the prettiest stretches of the River Deveron, often quoted as the “hidden gem” of Scottish Salmon rivers. July, August, September and October are the most productive months, excellent brown trout, dry fly, and wet fly from May onwards. From £150 per rod per week. Ghillie available. 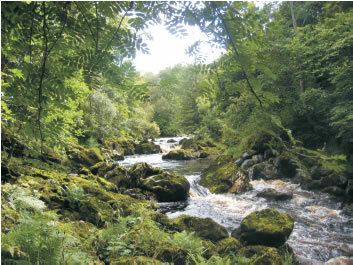 The cottages offer flexibility; a secluded retreat for 2 or using several cottages for a party of 12. In our self catering accommodation, we can arrange a cook. Jocky Milne’s sleeps 2, Straitinnan 4, and Westerpark 6. Jocky Milne’s is a secluded and romantic croft tucked away in the woods with wonderful views overlooking the valley, hidden yet within walking distance of Westerpark and the top beats of the river. Westerpark has supremely comfortable en-suite bedrooms and a cosy Aga in the kitchen. 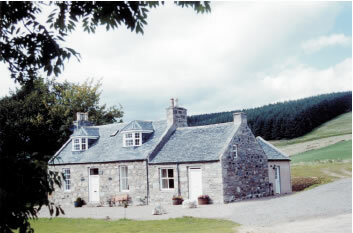 Straitinnan overlooks the bottom beats of the river and has an attractive sun conservatory with views over lochan and heathery hills behind. All our cottages have welcoming log fires as well as conventional heating systems.